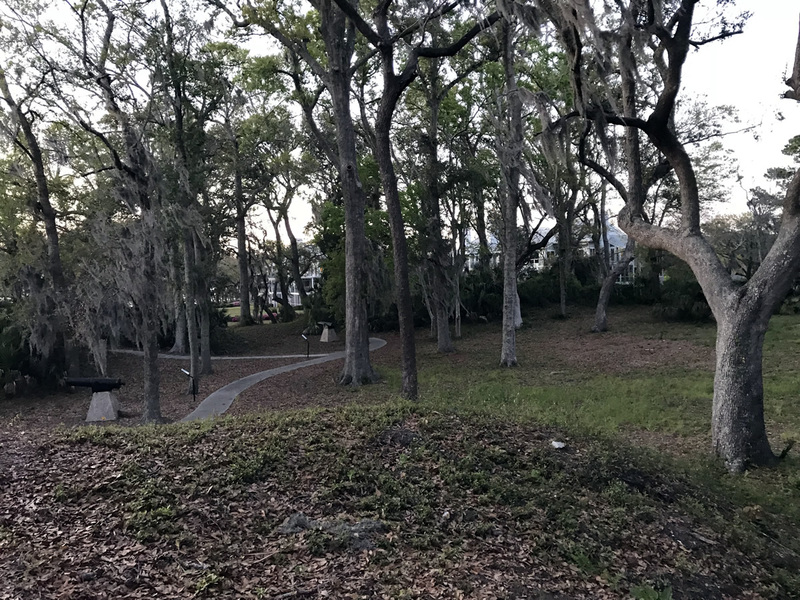 There are remains of four Civil War forts on Hilton Head. 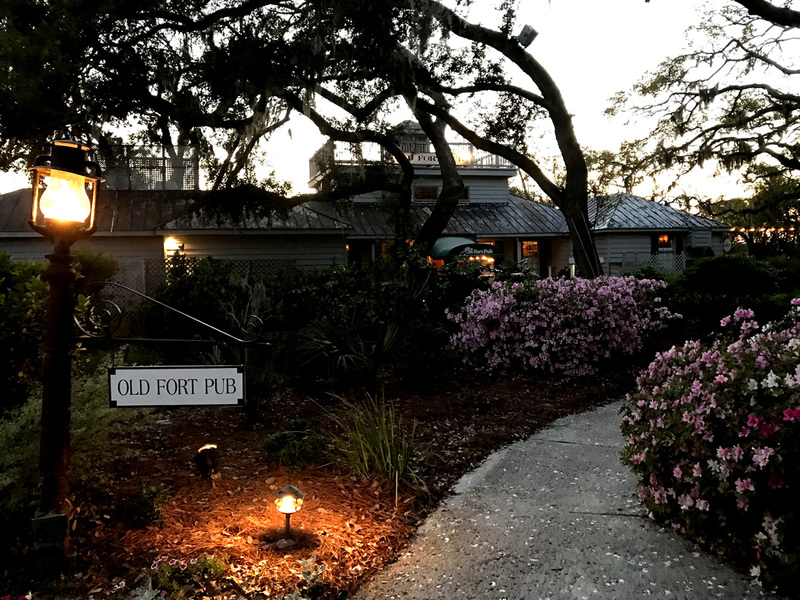 Fort Mitchel is at 65 Skull Creek Drive. Fort Mitchel was built in 1861 by Union Army. It was never meant to be a permanent fort. 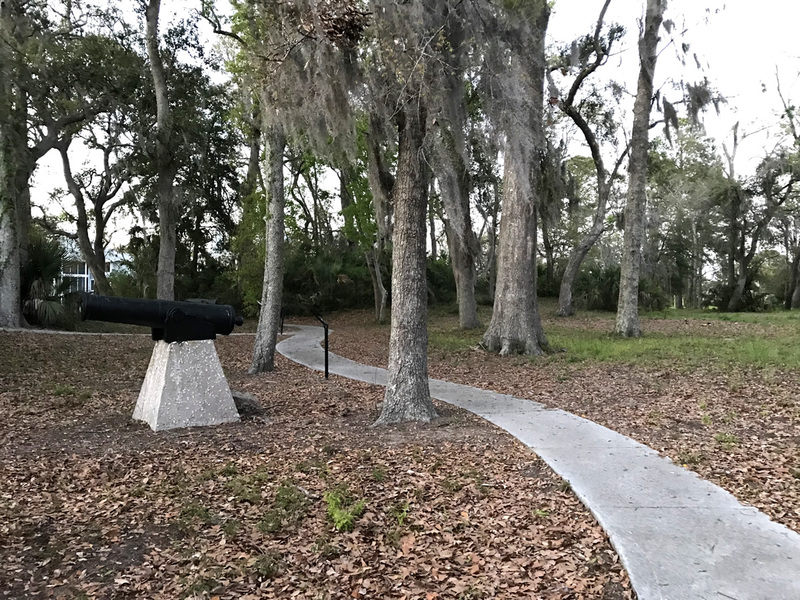 Fort Mitchel was built to defend Seabrook Landing, a coaling station and ship maintenance location during the Civil War. Ships ran on coal. A coaling station was where coal was kept, kinda like a gas station for cars now. It was named for Brigadier General Ormsby M. Mitchel. Fort Mitchel is on the National Register of Historic Places. It is an historic site that is open to the public. There is a gate, but just tell them you are there to go to the fort and they will give you a pass. The back of the pass. Please do not feed or harass the ALLIGATORS. The site has a lot of historical markers so you know what you are looking at. 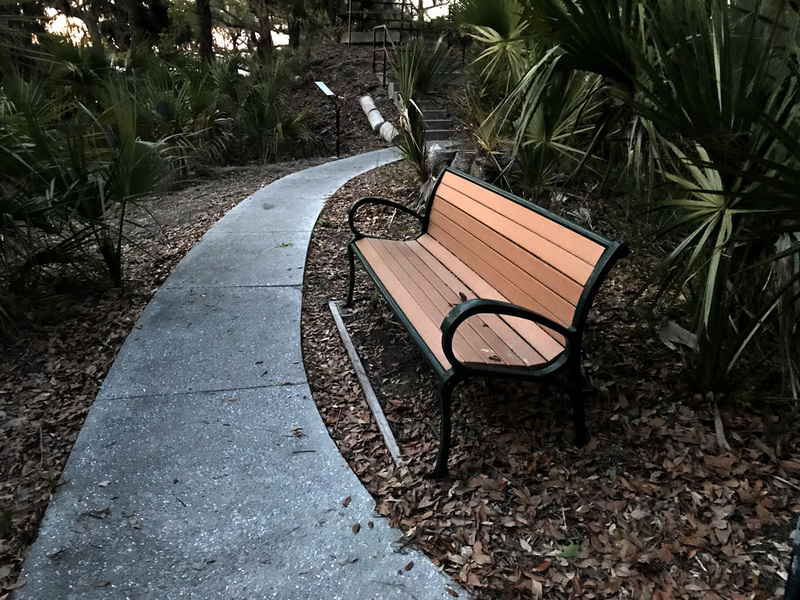 There are plenty of benches to enjoy the breeze and the view over the bay. There are benches and it is a lovely breezy place to watch the sun set. Right next to the fort is a restaurant. You might want to make reservations, there was a long wait and we were too hungry by then, so we went somewhere else. 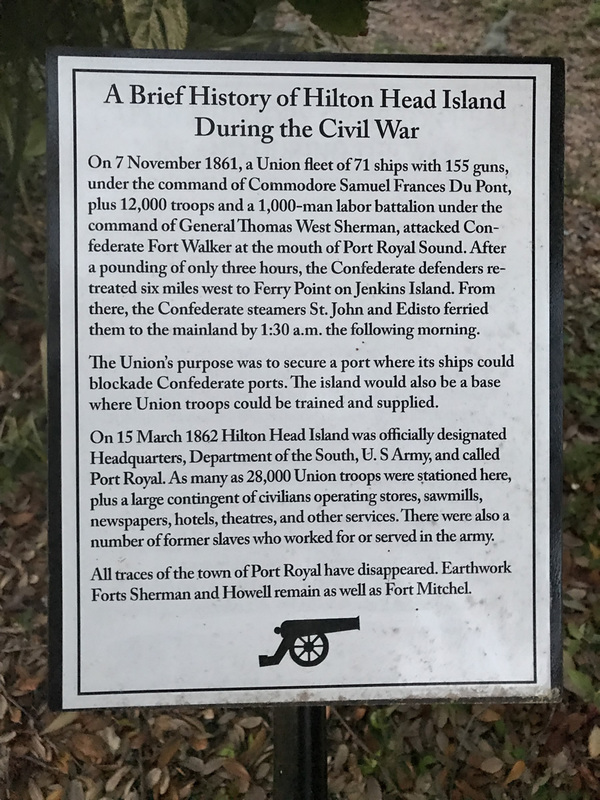 On 7 November 1861, a Union fleet of 71 ships with 155 guns, under the command of Commodore Samuel Frances Du Pont, plus 12,000 troops and a 1,000-man labor battalion under the command of General Thomas West Sherman, attacked Confederate Fort Walker at the mouth of Port Royal Sound. After a pounding of only three hours, the Confederate defenders retreated six miles west to Ferry Point on Jenkins Island. From there, the Confederate steamers St. John and Edisto ferried them to the mainland by 1:30 a.m. the following morning. The Union’s purpose was to secure a port where its ships could blockade Confederate ports. The island would also be a base where Union troops could be trained and supplied. 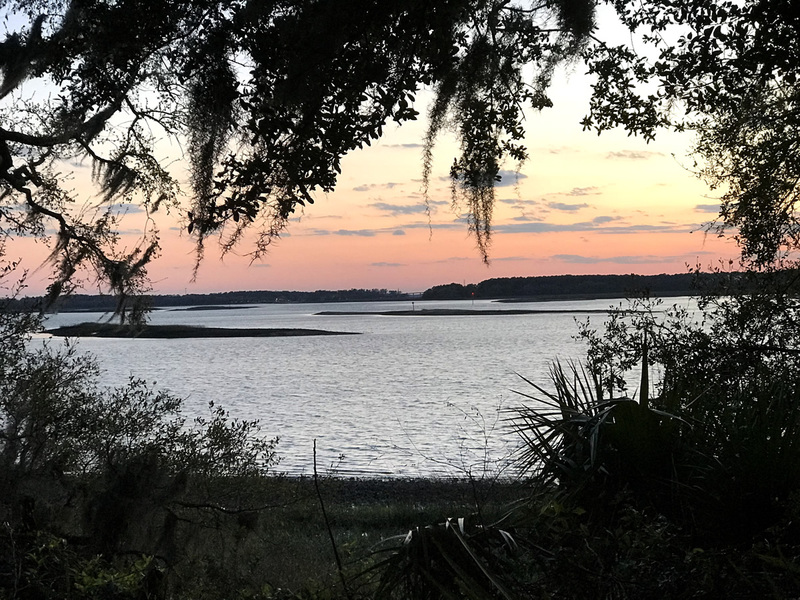 On 15 March 1862 Hilton Head Island was officially designated Headquarters, Department of the South, U.S. Army and called Port Royal. As many as 28,000 Union troops were stationed here, newspapers, hotels, theatres, and other services. There were also a number of former slaves who worked for or served in the army. All traces of the town of Port Royal have disappeared. Earthwork Forts Sherman and Howell remain as well as Fort Mitchel.